Scientific name: Lactuca sativa Linn. This Lettuce is always present in Thai cooking. We usually eat them with other vegetables with the Spring Rolls or Laab. We can also add them in the noodle soup with bean sprouts. We need lettuce in the most common dish like green salad or joining the other vegetables and herbs in our spicy seafood salad and garnishing the dishes. We can have lettuce all year round and they grow everywhere in the country. Only in Rainy Season they could be a bit more expensive because some vegetable farms will be flooded and in Winter we can have them cheaply because it is the right season for growing most vegetable in Thailand. 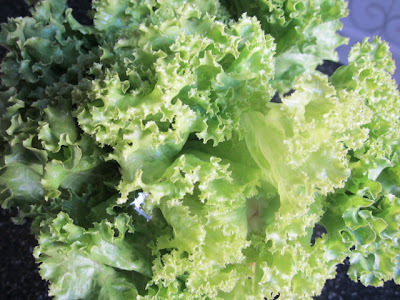 Lettuce contains many minerals, notably the fibers, beta-carotene, phosphorus, calcium, niacin, vitamin C and anti-oxidants.